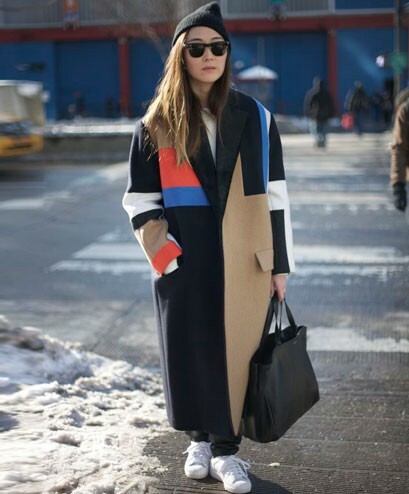 Just because it’s winter doesn’t mean you should let your style game suffer. Are you tired of drab greys, blacks and neutrals? Take your cues from these stylish trendsetters wearing the season’s hottest trends – from plaid prints and textured sweaters to quilted jackets and pastel outerwear. Are you feeling this season’s chunky quilted jacket trend? You don’t have to resemble the Michelin Man or a human marshmallow from top to bottom. Wear a black puffer with crisp, white skinny jeans and you’ll look as chic as ever. Opt for a silk shirt and oxfords when wearing your punchy jacket to work. Or why not pair it with a body-skimming midi-dress and heels for bar hopping in the winter months. Are the dropping temps getting you down? Why not use colour to lift your mood again! Winter whites and on-trend pastels are a match made in sartorial heaven. Keep your eyes peeled for textured pastel outwear or totally toasty knits in sorbet hues and plaid prints to punctuate your wintry look. You can also add colour to your ensemble with a pair of sporty sneakers – New Balance and Nike Roshe Runs are our fave – in a fun colourway like orange and teal. 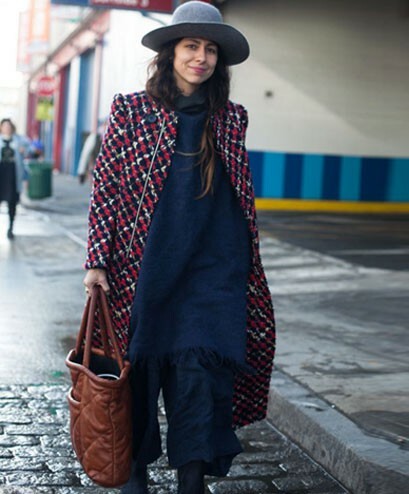 Are you feeling a bit, well, frumpy in your layers of cool-weather clothes? A cinched waist here, metallic clutch and pair of spiked heels there will instantly amp up your outfit. 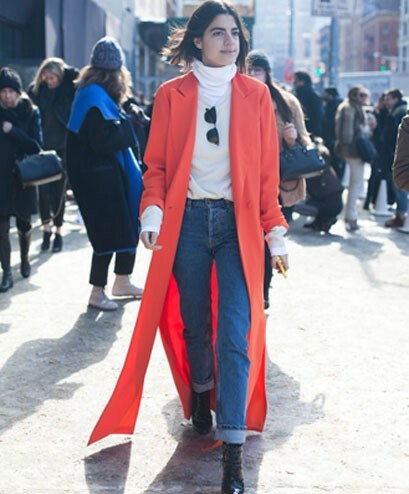 So cosy and useful, turtlenecks are our go-to staple this winter. If you’re big on the whole less-is-more thing, wear with plain separates in stark monochrome shades. That’s not to say turtlenecks are boring – anything but! The more adventurously minded among us can layer theirs under bandeaus and dresses, making their summer wardrobe do double duty.